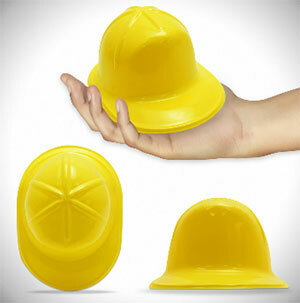 This hat is an upgrade from our plastic version and a fraction of the cost of a real OSHA hardhat. 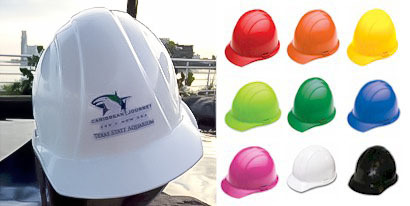 OSHA Approved Ceremonial Hard Hat plain or with a full color logo. 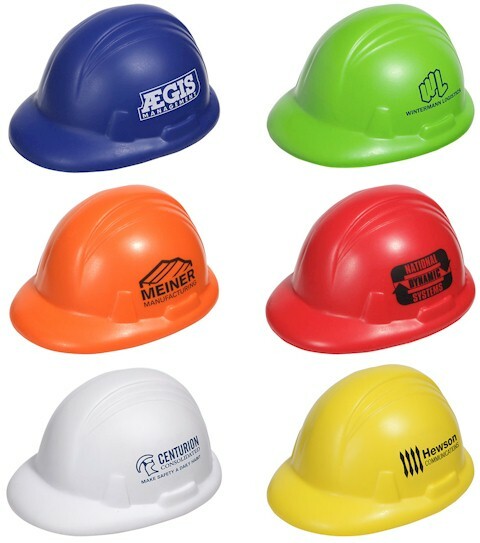 Add your company logo, message or name on our unique hard hats with a flat space on the front, specifically designed for a logo. 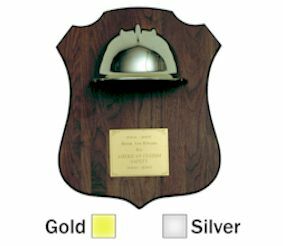 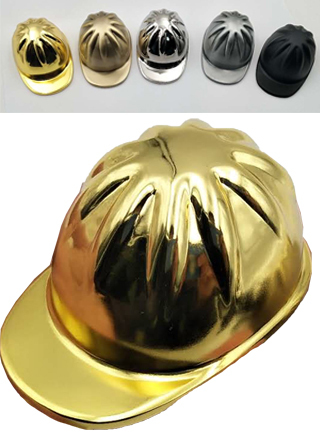 Now you can have a gold or silver V-Guard Construction Ceremonial Hard Hat at a fraction of the price of the plated gold or chrome hats. 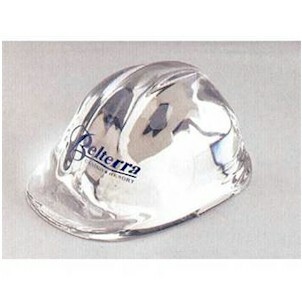 This is a great alternative to our Metallic Chrome Plated Hard Hats. 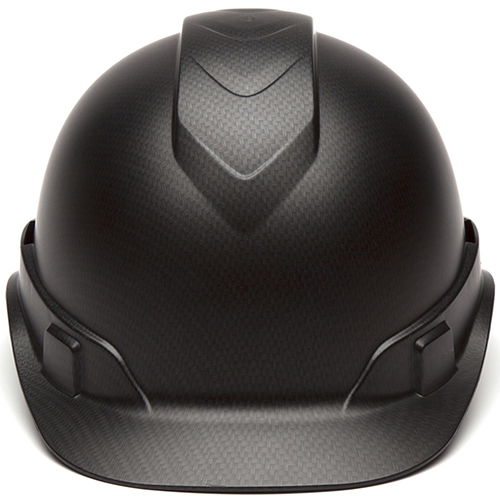 Our Graphite Matte Hard Hats are perfect for use during the daytime hours. 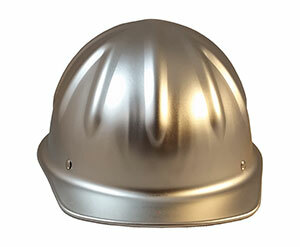 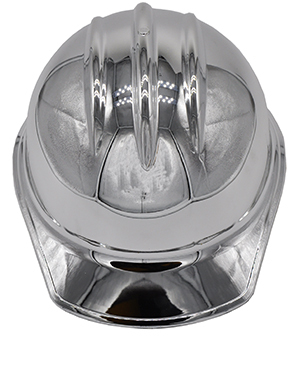 Striking metallic chrome plated hard hat to commemorate your Groundbreaking or special event! 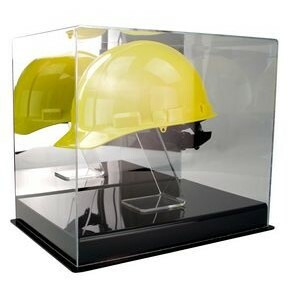 Brilliant gold plated hard hat to commemorate your groundbreaking or special event. 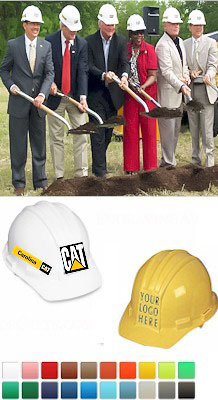 Put custom logos on new hard hats or your existing hard hats (any brand). 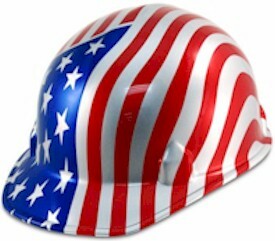 We will size the artwork to your specifications. 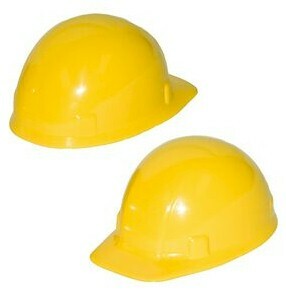 Economy Plastic Hard Hats. 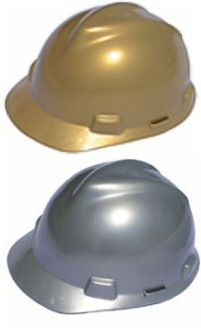 Yellow, White, Red, Orange or Pink hats are availalble with or without logos. 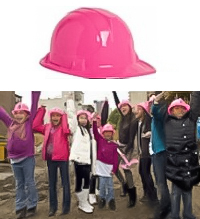 Economy Pink Plastic Hard Hats in hot pink. 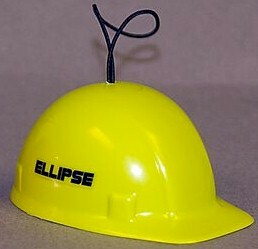 Looks like the real thing in miniature size. 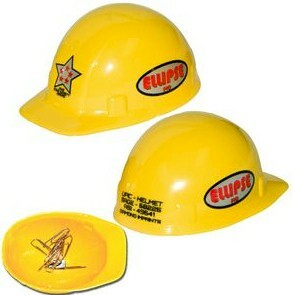 Small Hard Hat Replica that makes a perfect gift for your groundbreaking attendees! 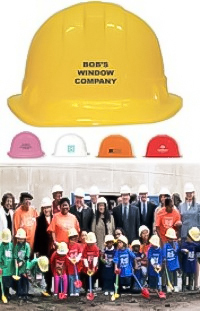 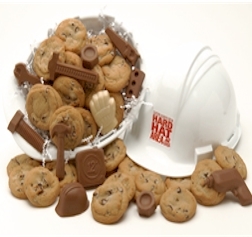 These small plastic hard hats can be used to hold candy, snacks or as a fun giveaway or decoration at your groundbreaking event. 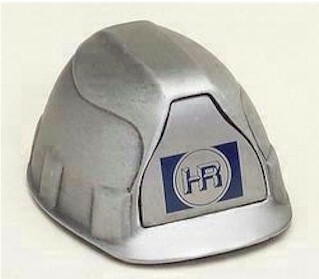 Miniature Hard Hat Replica Paperweight. 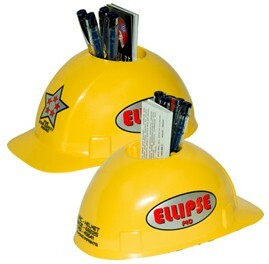 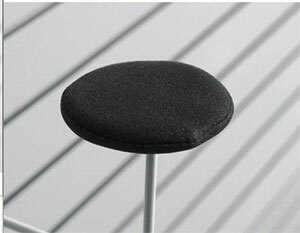 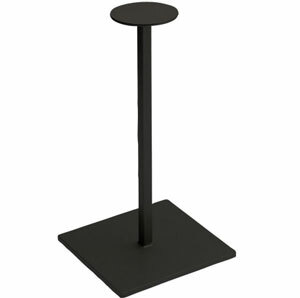 Recycled Hard Hat Desk Accessory. 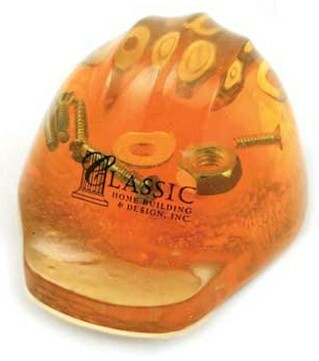 Each piece is individually handcrafted. 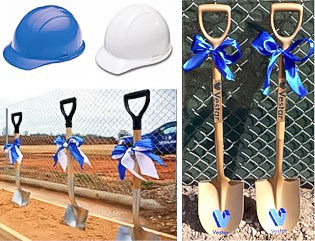 No two pieces will be exactly alike. 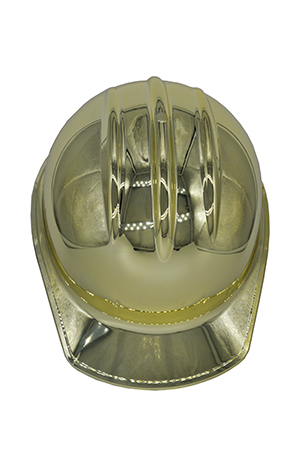 Pricing includes one base color and one antiquing color of your choice. 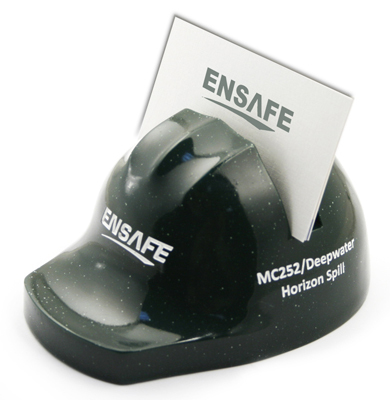 A blend of pulverized granite and polyresin. 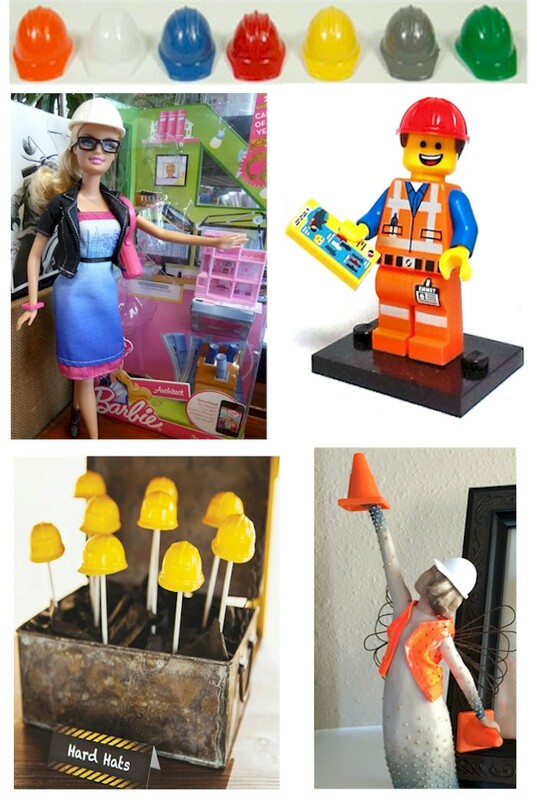 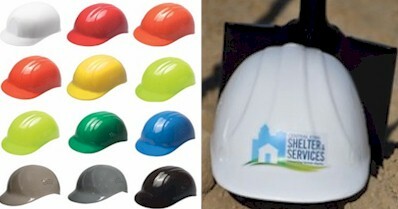 Hard hat stress toys are a perfect gift for your guests to take home after your groundbreaking ceremony. 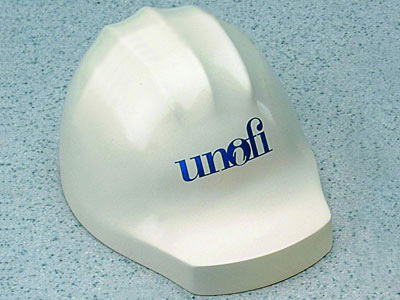 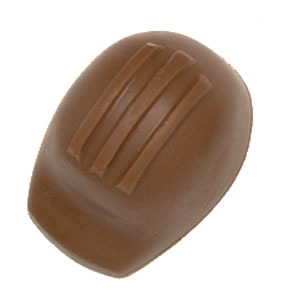 Your vulnerable head deserves protection from stress! 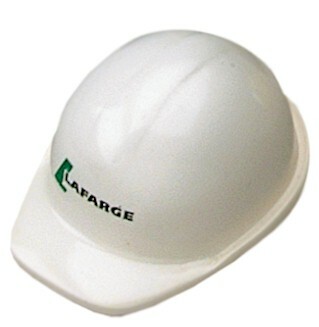 Give this hard hat a good squeeze and feel your stress level fall. 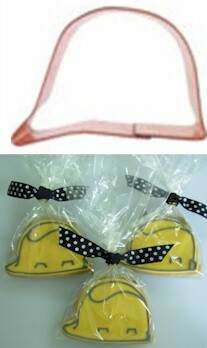 A fun take home gift for your ceremony attendees! 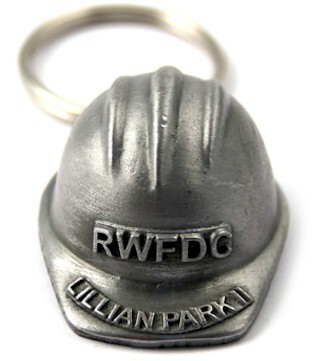 This hard hat keychain is the perfect commemoration of your groundbreaking event. 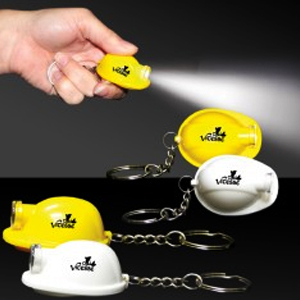 A great gift for your guests and V.I.Ps. 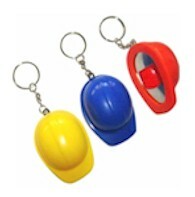 Mini hard hat keychains with a bottle opener inside the cap. 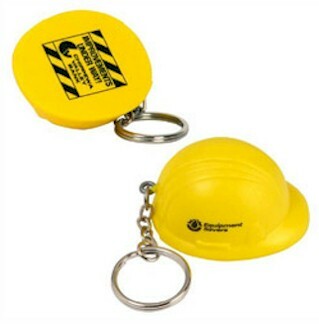 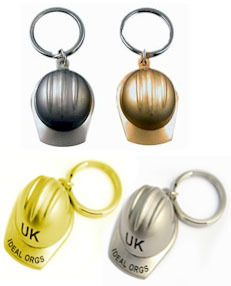 These Hardhat Flashlight Keychains will send all of your event guests home with a smile. 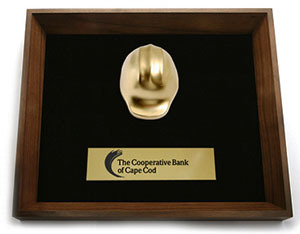 Perfect gift for your groundbreaking attendees! 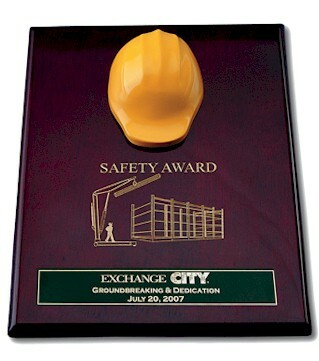 Perfect decoration and gift for all groundbreaking participants!